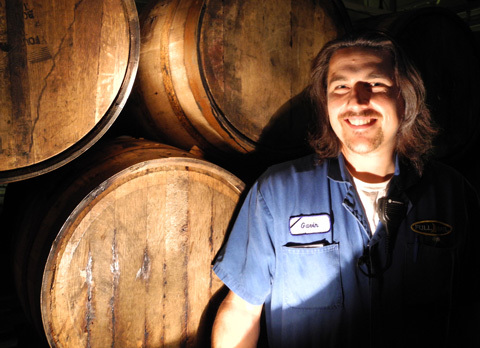 Gavin’s beer is a Cascadian Dark Ale brewed with Midnight Wheat, Flaked Oats, Crystal Malts, and 2-Row Pale. Lord of Darkness pours a devilishly dark ruby and wears a lacy white crown. Beware His Amarillos! Beware His Mosaics! While they may lend the sweet scent of blueberry and lemon, of spice and of pine, they will only lead to the bitter end He's always held in store for you. But fear not! For only if you place your trust in His Darkliness, may He lead you to Enlightenment. 7.0% ABV 70 IBU. Full Sail has scheduled two “Meet the Brewer and the Beer” events to showcase this new beer. The first Meet Brewer and the Beer event will be at Full Sail at Riverplace in Portland, Tuesday, December 4th from 5:00 – 6:30PM. The second is at the Full Sail Tasting Room and Pub in Hood River, on Thursday, December 6th from 5:00 to 6:30PM. Join the Full Sail crew to celebrate and toast a pint of the new brew. With each Brewer’s Share series beer, Full Sail picks a local charity to receive a portion of the proceeds from the sale of the beer. Gavin has chosen to support the Groundwork Portland so every keg of Gavin’s beer benefits this organization. Groundwork Portland is the primary non-profit in the Portland metro area focused on brownfields redevelopment and conversion of such land into greenspace, parks, community gardens, and multi-purpose sites. The Brewer’s Share series is a line-up of small batch draft beers where each Full Sailor takes a turn hand-crafting their own single batch recipe and a portion of the proceeds benefit a local charity of their choosing. 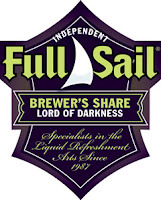 Full Sail’s Brewer’s Share Experimental beers will only be available on tap at Full Sail’s Tasting Room and Pub in Hood River, Oregon, and at Full Sail’s Brewery at Riverplace, in Portland, Oregon. Growlers to go are available. The next Brewer’s Share Experimental will be a collaboration beer brewed by Leo Torres, package technician and Eduardo Bello, maintenance supervisor and is expected in February.